Europest have many years experience in the pest control industry and are specialists in all aspects of pest control and rodent control in Bristol and the surrounding areas. Our pest control technicians provide a 24 hour, 7 days a week service so they are able to act swiftly and effectively to deal with your pest control and rodent control problems. They are committed to seeing your pest control problem through from start to finish and any work that is carried out is fully guaranteed. 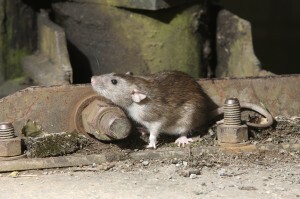 Europest offer a comprehensive pest control and rodent control service across Bristol and the rest of the UK. We have pest control experience for domestic properties, commercial units, factories, shops and agricultural sites and have helped many clients in and around the Bristol area. We know that having a pest problem at your home or business can be extremely disruptive and damaging. We use a broad range of safe and effective pest control methods to combat the problems that we come across and over the years we have established a strong reputation for providing expert pest control and rodent control services throughout Bristol and the South West region. No job is too big or small and our technicians are dedicated to ensuring that your pest problem is removed discreetly and effectively so that you can get back to normal as soon as possible. We can provide one-off solutions or help you with a long term service plan, either way Europest are here to quickly remove your problem and ensure that you can enjoy a pest-free environment. Pest infestations are well known for causing health problems, damaging the environment, and causing potential loss of business. If you are experiencing a pest control problem then we would advise you to act swiftly so that you can minimise the problems that occur and call in a professional team like Eurogroup to eradicate the problem for you. Our technicians are based locally and they always carry photo ID so you can be safe in the knowledge that you are dealing with experienced professionals who place great importance on your safety and security. All of our pest control products are child, pet and environmentally friendly and our technicians will work closely with you to make sure that you understand every step of the pest control process that they are implementing. 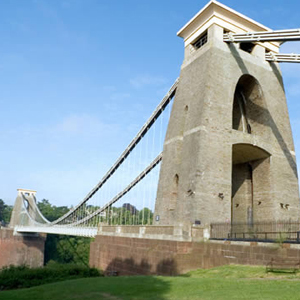 We have helped many clients in the Bristol area with a wide range of pest and rodent control problems. If you are based in and around areas such as Newport, Bath, Keynsham, Chepstow, Portishead, Clevedon and Thornbury and need help with a pest control problem then we would be happy to help. Our professional and highly trained team of pest control technicians provide an extensive pest control service at affordable prices. We have many satisfied customers across Bristol and the surrounding areas so if you need any help with your pest control or rodent control problems then please contact us on 02920 868961 and speak to one of our friendly team.